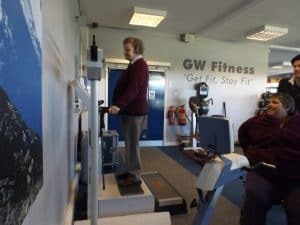 As a member of the Inclusive Fitness Initiative our aim is to cater for the needs of disabled and non disabled people and to encourage physical activity participation. Gang Warily is a fully accessible and inclusive environment; we have friendly and professional staff who are fully qualified instructors. Our forward thinking and proactive approach to provide equal fitness opportunities has set a bench mark within the local community by becoming the only stage 2 Inclusive Fitness Initiative (IFI) facility within the Waterside. 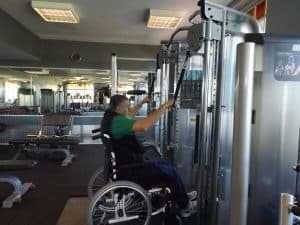 Our comprehensive range of inclusive equipment has been specially designed not only to cater for the able-bodied client, but also to provide fitness based opportunities for the disabled user. Our instructors run different classes, gym based and specially tailored programmes, using a variety of equipment, exercises and environments. Specialised equipment includes Thera Vital Bikes and Sci Fit Machines. These can be used during the classes or through booking appointments. 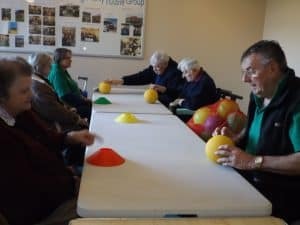 Our current users find these sessions very beneficial to their health and also enjoy the social aspect. 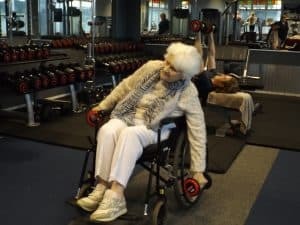 By following the IFI program we are helping support the fitness industry become more inclusive, catering for the needs of disabled people regardless of sensory, cognitive or physical impairments. It’s one thing to be IFI certified, it’s another to actually use it to help people. We are committed to our community and we have gone further than words. We have been running a very successful class called “GIG” . Centered as a class for people with limited mobility, limited mobility should not stop you from being able to enjoy exercise. In many cases people have ailments that require exercise, maybe it’s recovering from an accident or maybe it’s lowering the rate of muscle atrophy and many other things. We have qualified and dedicated people here ready to help you exercise SAFELY. As a bonus we have noticed people make friends in this class, our own staff members have become very close to the gig members. GIG is more than just a class. It’s a mini community and a friendly one that invites you to join….